Through the “Rittal – The System.” range, Rittal is presenting efficient system solutions for the wind energy industry at the HUSUM WindEnergy 2012 exhibition. managing member, for the 89 SWT-2.3-93 units at the White Creek wind project near Roosevelt, Washington. 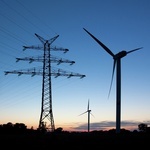 Uruguay - World leader in wind energy generation by 2015? Out of the total 90 percent of renewable electricity, 45 percent will come from hydropower, 15 percent from biomass and the remaining 30 percent will come from wind energy. Vestas has signed a framework agreement to deliver 184 MW over three years with a long-term Danish customer, with the first 17 MW now firm and unconditional. Topic of the Week - What do Americans really think about wind energy? Vestas has received a three-year extension from Alliant Energy to provide service and maintenance for 121 V82-1.65 MW wind turbines at the Whispering Willow Wind Farm - East in Iowa. The wind power industry production and investment tax credits have been officially extended, and now tens of thousands of wind workers will remain employed. The Middle East countries offer excellent opportunities for harvesting domestic and environmental-friendly wind power. The U.S. wind energy industry and its 75,000 employees breathed a big sigh of relief last week as the federal renewable energy Production Tax Credit was extended, and the reaction of supporters and analysts in the media (...) was generally favorable. Windfair will be present at the Hannover trade show next April with a 150 m² community booth in Hall 27/Wind. WIND is the name of the wind energy trade fair, which is part of the biggest industry show of the world. a non-asset based provider of integrated supply chain solutions delivering safe, specialized transportation and logistics services, has named Lori Croft, Stuart Kerr and Shannon Jones January Employees of the Month. 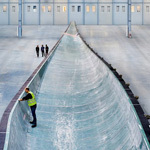 Technology giant and business icon Google, Inc., continued its embrace of wind power with the announcement that it has invested $200 million in EDF Renewable Energy’s Spinning Spur Wind Project in Oldham County, Tex. The Hamburg Offshore Wind (HOW) Conference - Germany's premier offshore wind conference - is fast approaching. It will be held on 20-21 February 2013. PreciTorc GmbH in Bremen, the reliable partner in industrial torque technic supports user of TITAN Hydraulic Torque Wrenches. The company has signed an agreement to supply towers for a number of non-Vestas wind power projects over the next two years. Siemens Windenergy News: Siemens has signed a contract for the supply of 25 wind turbines for Mid Hill Wind Farm in Scotland. Siemens will also provide a five-year Service and Availability agreement. As an independent consultant in the wind energy sector, Overspeed GmbH & Co. KG issues expert power line assessments on the basis of current norms and guidelines. Mott MacDonald has been appointed as owner’s engineer for the 67MW Hopefield Wind Farm in South Africa’s Western Cape province. The Pantex wind farm, a first in the NNSA enterprise, will consist of five 2.3 megawatt turbines located on 1,500 acres of government-owned property east of the Pantex Plant. An impressive piece of thought on wind power by Andy Robinson of Plainfield, Vt., appeared on the independent news website Vermont Digger recently - And, I would like to share it with our readers. “Gold Class” company in “The Sustainability Yearbook 2013? The wind power industry is all about change. The very nature of what we provide represents a change in the way energy is provided to business and consumers. In his lectures BBB's co-founder Binotsch will give an introduction to the specialised area of Due Diligence for wind energy projects. PreciTorc GmbH in Bremen the reliable partner in industrial torque technic supports and supplies as a distributor and repair-shop electronic und pneumatic RAD-Torque torque wrenches of series E-RAD, DV-RAD, DB-RAD, High Speed, GEN-X up to 8.000 Nm. The installation of the first two 6 megawatt wind turbines in the offshore wind power plant Gunfleet Sands III with the specially designed installation vessel SEA INSTALLER marks an important milestone for Siemens. The emerging markets are seen as the desirable place to go, but what do you really know about them? EWEA 2013 Annual Event will deliver a special programme on emerging markets which will allow professonals to make profitable decisions faster.